Here at Apex Luxury Limousine and Sedan Transportation we are happy to begin offering all of our luxury limo services to the residents and visitors of Danville. Danville is a small and exclusive enclave nestled in the East Bay. Located in southern Contra Costa County this township is as naturally stunning as it is imbued with delectable restaurants to choose from. The downtown strip of Danville is a destination worth visiting for those looking to get away from the hustle and bustle of Oakland and San Francisco. 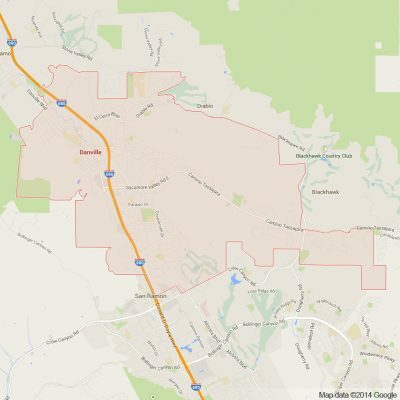 Not far from Walnut Creek, Danville sits beneath beautiful Mt. Diablo and has access to the East Bay’s finest trails and pathways for those interested in being outside. Danville, while being home to many upscale restaurants and country clubs, boasts an old town feel as well. The Museum of the San Ramon Valley coupled with the Euguene O’Neill Historic Site make Danville a destination for those looking to explore the engaging and fascinating histories of the Bay Area. Our limousine and sedan services are diverse and are available to anyone looking to explore what Danville has to offer. For those interested in making Danville a stop in their exploration of the greater Bay Area our limousines, SUVs and Sedans will perfectly compliment this adventure. Whether wishing to see the natural beauty surrounding Mt. Diablo or going to one of the esteemed restaurants or country clubs within the Danville city limits, Apex limousine and sedan transportation is here to help. For residents of Danville our comprehensive luxury limo transportation services are also available for any possible need. This includes but is not limited to: weddings limousine services, airport sedan black car transfers at major Bay Area airports (SJC, OAK, SFO), Senior Ball and Junior Prom limo transportation as well as Napa Valley Wine Tours. Northern California produces some of the best wines in the world. Apex is very proud to offer residents of Danville a luxurious gateway to explore the best of these delectable and incredible wines. With Apex limousine and sedan services our comprehensive Napa Valley Wine Tours will take you to and from the Napa Valley to explore the best wineries in the region. This is a popular choice among Danville residents and we promise to make it an adventure you will never forget. We take our job at Apex seriously. A commitment to professionalism and luxury combine to make us a favorite among students going to their first junior prom, business people in need of an early morning airport transfer, and couples who want a flawless wedding day. Our high ratings don’t just come out of thin air but come from a consistency you will not find in other limousine transportation services. At Apex we stand out among the rest for a reason – so let’s make your dreams come true, today! Please call us for car service all inclusive total for Danville to/from Napa Valley transfer.